My Beatport DJ chart May 2015 is available! Some tunes are included in my Soundcloud Mix May 2015 aswell! Tic Tac Trance #089 Replay available! 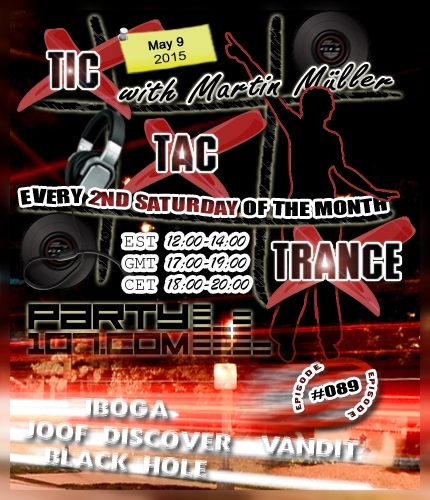 Tic Tac Trance returns on May 9 2015 with episode #089 on Party107.com. You can expect for this show a 2 hours uplifting & psychedelic underground trance mix which features tunes of labels like Iboga, JOOF, Discover, Vandit, Black Hole and many many more! Make sure to tune in!